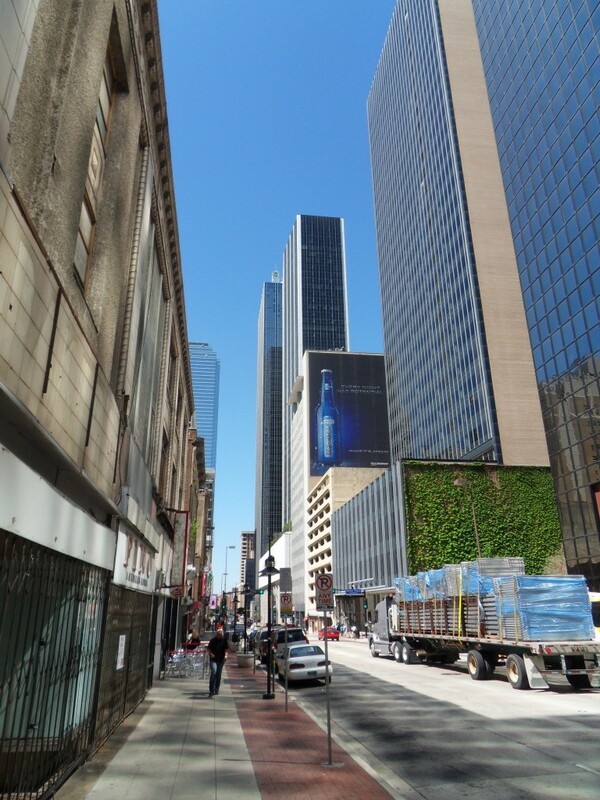 Downtown Dallas has one of the best skylines in the country. In my five years of living in the Big D, I’ve never grown tired of looking at it. But skyscrapers aren’t just designed to be admired from afar. Sometimes you need to get off the freeway and see things up close. That’s why, one day last spring, I took my camera downtown to get a better view. 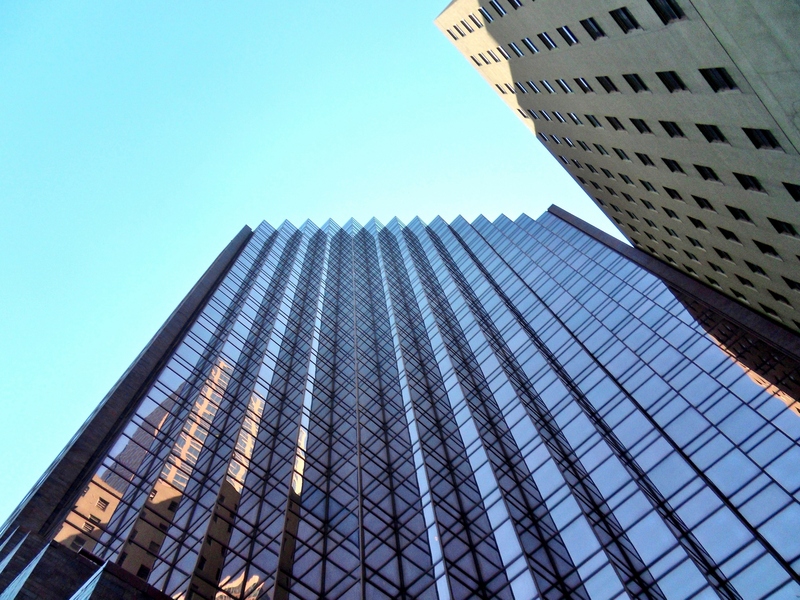 It was the perfect day to photograph such shiny glass buildings. And while some of the buildings downtown might be a little too shiny, the reflectiveness improves the view of the downtown canyons. The sunlight reflecting off the towers makes this photo look almost HDR, even in real life. 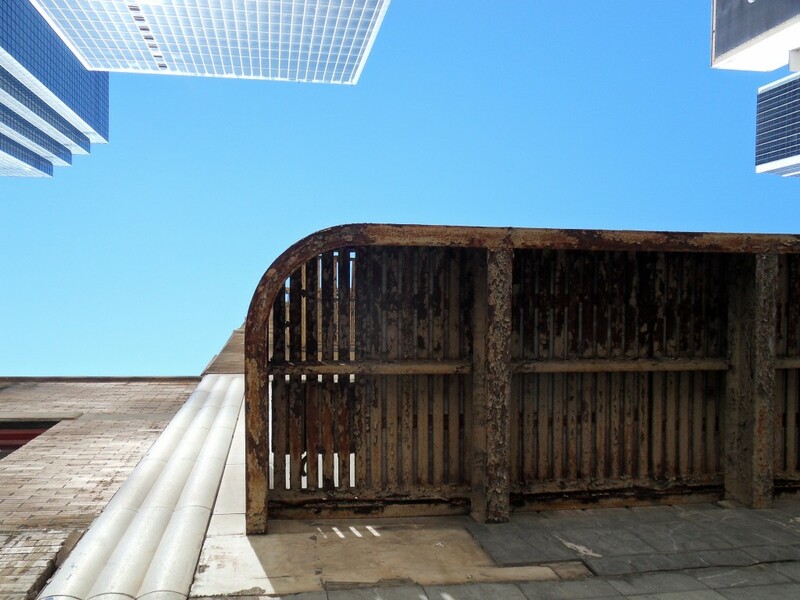 More bright reflections in a narrow downtown canyon. I like how this old fire escape contrasts with the bright glass Thanksgiving Tower. Fountain Place is my favorite building in Downtown Dallas. The Hartford Building is dwarfed by its younger neighbors. Republic Tower is usually pretty ugly, except when the sun hits it at the right angle. 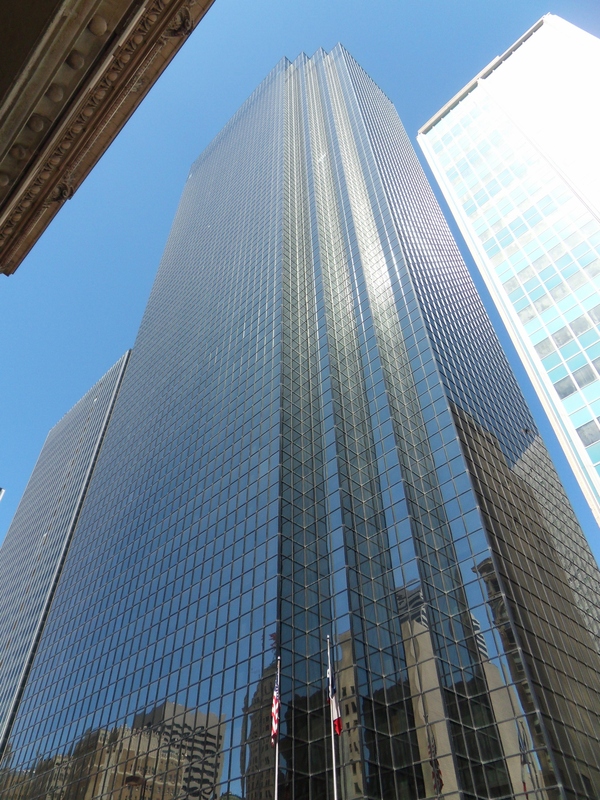 Thanksgiving Tower stands above a much older office building. 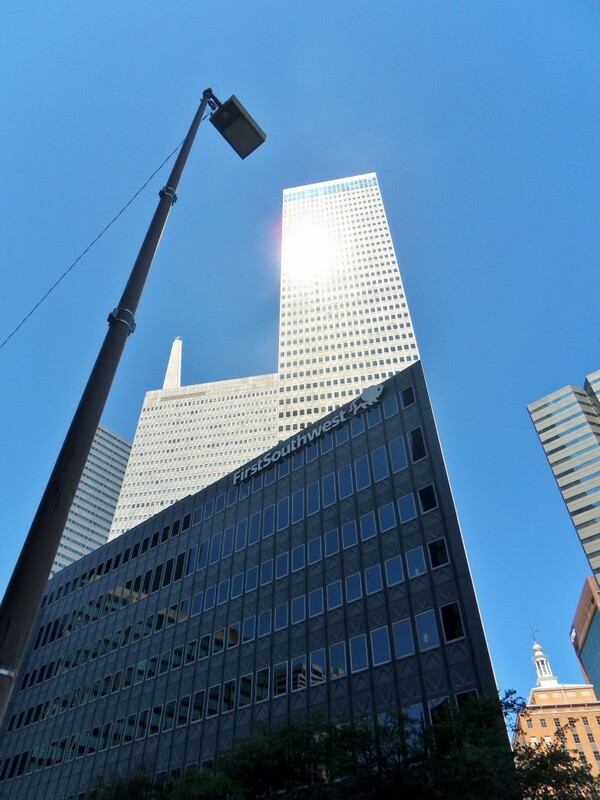 This mirrored wall acted almost as a second sun over Downtown Dallas. 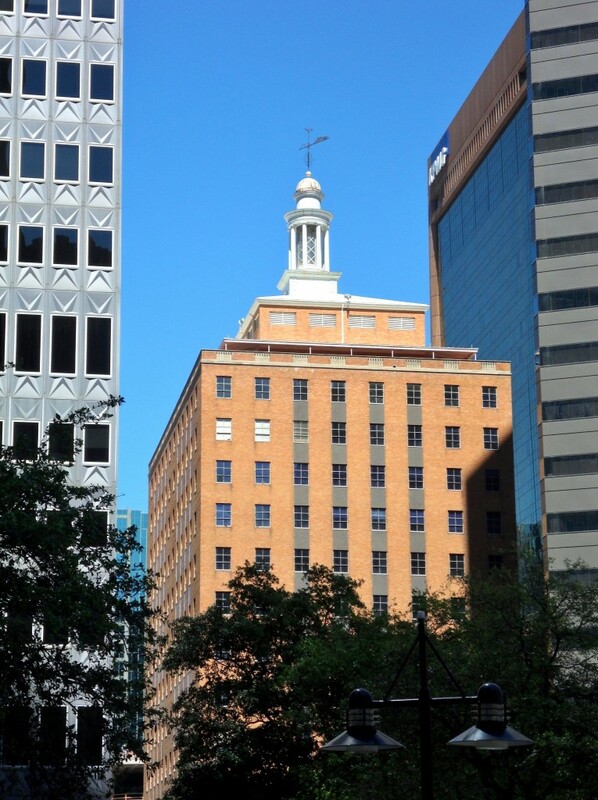 The Mercantile Building is also dwarfed by its neighbors, though it still stands out. 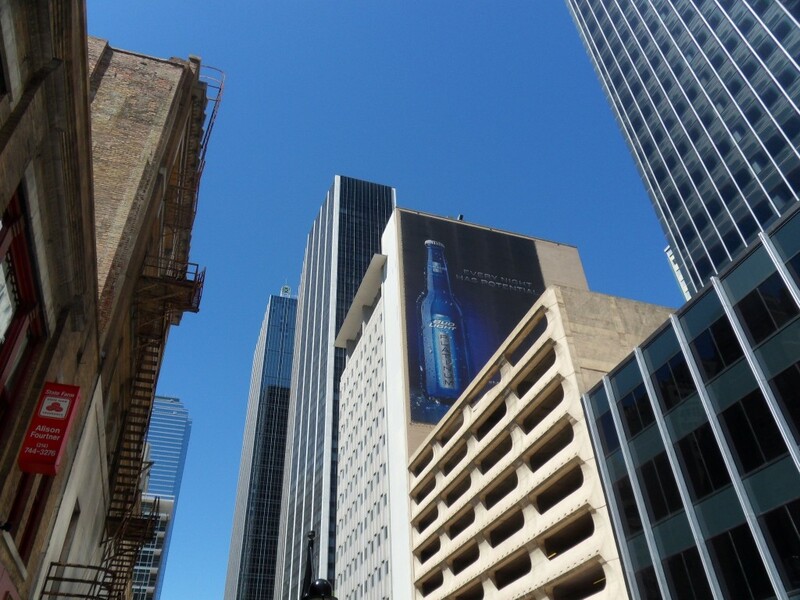 Giant billboards have become more common downtown, though this one matches its surroundings. 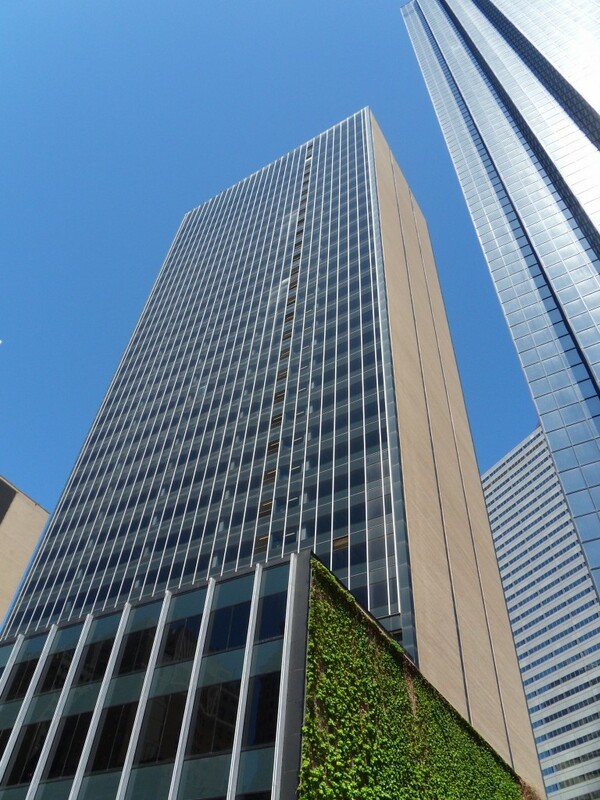 1600 Pacific Tower. I feel bad for this building. It has no name and has been vacant for a while now. Pacific Place has this cool stepped wall. In recent years, there has been a trend towards blue reflective glass. 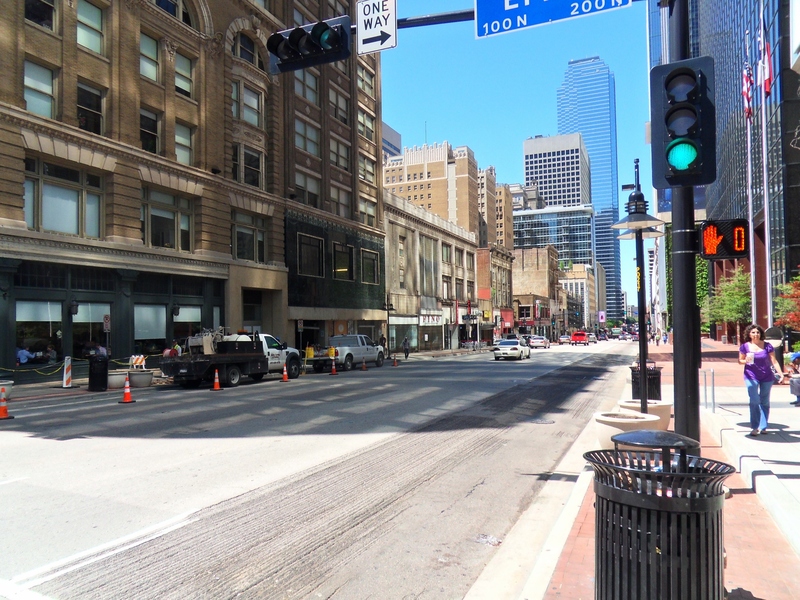 In Downtown Dallas, Thanksgiving Tower, Bank of America Plaza and the new Museum Tower all have this effect. 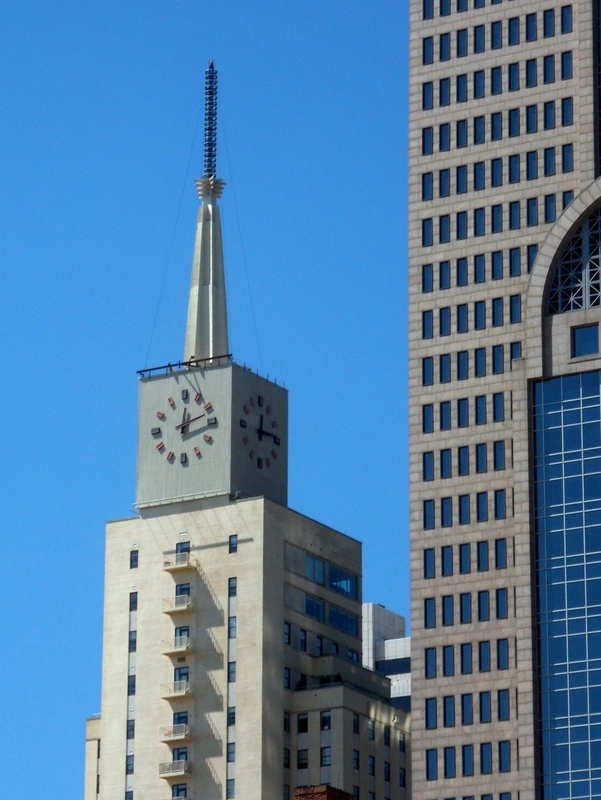 However, none of the downtown skyscrapers pulls of the blue-tinted-glass look as well as Fountain Place. This pointy spire was designed by I.M. Pei, the same guy who made the Louvre Pyramids (which I love) and Dallas City Hall (which I don’t really care for.) 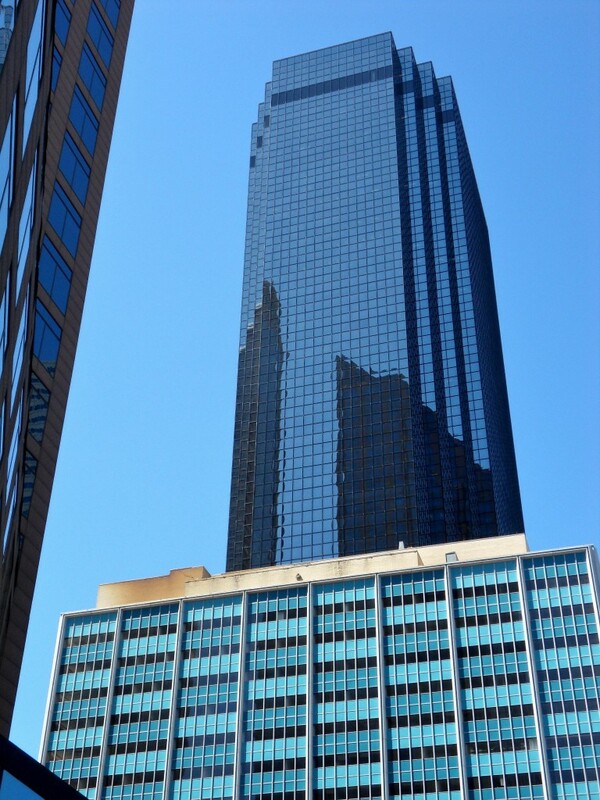 I love Fountain Place not just because of its reflective glass, but because it looks different from every angle. It’s a lot harder to photograph, but the downtown skyline also looks amazing at night. Bank of America Plaza has green neon lights, the Omni Hotel has a multicolor billboard, and Reunion Tower has a hypnotic ball of multicolored LED lights. One of these evenings, I ought to go down there and get some pictures. In the end, the Dallas skyline is impressive any time of day. What about you? 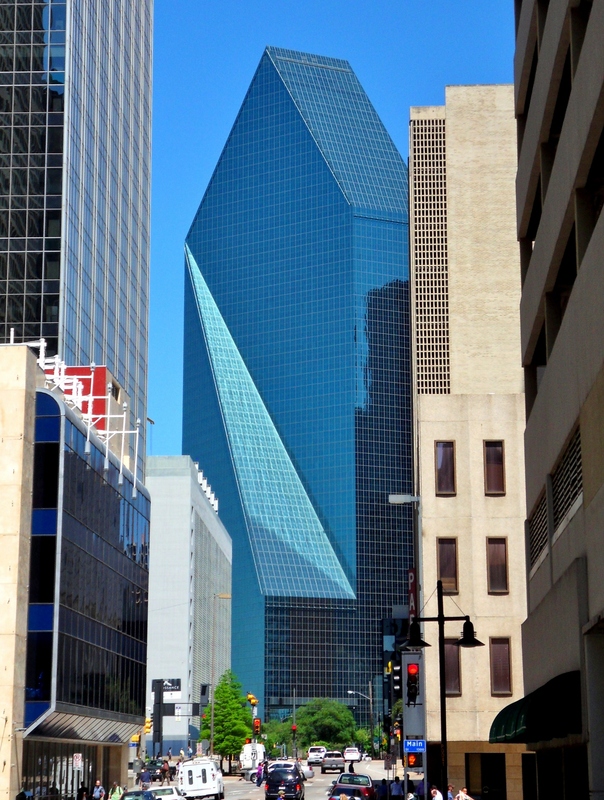 What is your favorite building in Downtown Dallas?